When Mr Dean Stewart came to us looking for an inspired raised decking design, we were confident that we could give his whole outdoor living area a renaissance by constructing a deck that he would be proud to call his own. Mr Stewart selected our contemporary Silver Maple deck boards, as he saw the potential that this modern shade could have on his home and garden. Following a visit from our in-house architect, Mr Stewart was able to really visualise his awe-inspiring new deck and even add a few impressive extra features. We thoroughly enjoyed working through this process with Mr Stewart, and as you can see from the project we made of the project, the results are definitely worth talking about! 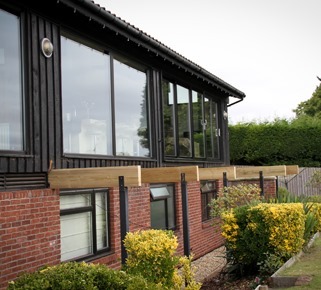 We have seen a large number of decking projects through from design to installation, and we never get tired of seeing the customer’s joyous reaction to our work! Like most of our projects, this one started with a phone call when Mr Stewart decided that it was time to give his home in South Wales a thoroughly modern makeover. After speaking to our friendly sales team, he decided to go with our EasyClean Terrain+ Silver Maple decking; this is always a fine choice, as not only does it have a chic and eye-catching look, it is also superbly low-maintenance and particularly impervious to nasty stains! Once the colour was decided upon, our managing director Jason personally visited the site with our team architect to get a closer look at what they were working with and to start formulating some design ideas. After carefully listening to what it was that the customer wanted, we added a bit of our own creative vision and expert craftsmanship to the mix and came up with a truly breathtaking raised decking design. 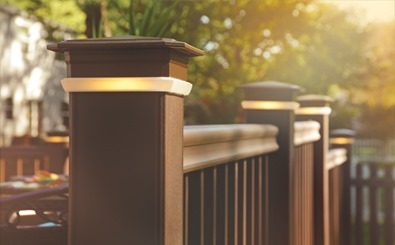 In addition to our gorgeous Silver Maple boards, we also used deck lights to create an exquisite retreat that can be enjoyed in the day or at night-time. One of the deck’s biggest features, however, is the RadianceRail railing system. This gorgeous handrail design is ideal for raised decks, adding a slick finishing touch while simultaneously ensuring that the area is safe. This is especially important if children are likely to be using the deck. Mr Stewart opted for a black RadianceRail, a modern style that perfectly complements the contemporary silver deck boards. RadianceRail is also available in white, for a slightly more traditional look. 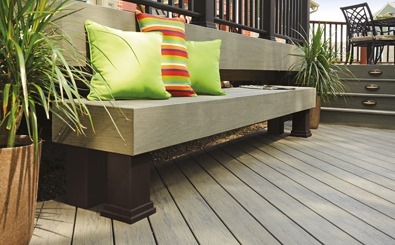 TimberTech prides itself on offering a complete service when it comes to realising people’s decking dreams. 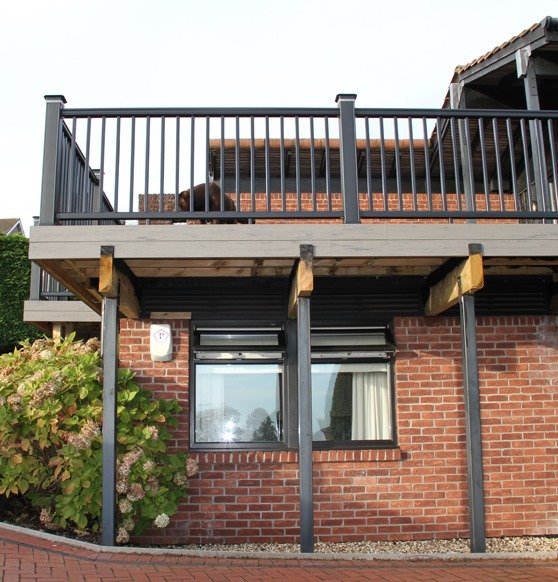 Mr Stewart came to us with a vague idea of how he wanted to his deck to look, but we were then able to transform those ideas into an implementable design and construct a deck that has enhanced the entire look of his South Wales home! 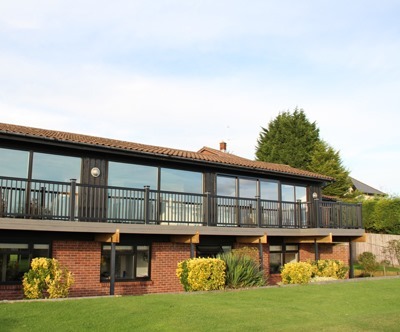 By the time the process was complete, Mr Stewart had a stunning raised deck that, thanks to our deck lights, looks great even when the sun goes down – a deck of this calibre deserves to be frequented around the clock! 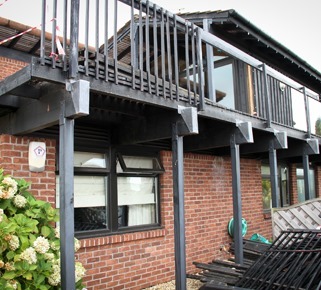 The combination of our products and expertise helped rid Mr Stewart of his tired, high-maintenance old deck, and replace it with a sleek, clean deck that requires practically zero maintenance. If you would like to take advantage of TimberTech’s services and revamp your outdoor space, give us a call on 029 2080 3756 – whether you’re based in South Wales or somewhere else in the UK, we’d be happy to help you!